I have, in recent months, raised with the City Council, the need to improve the road situation near to Verdant Works. My own view is that there is merit in creating a safer pedestrian entrance to Verdant Works by stopping up West Henderson’s Wynd outside Verdant Works. The advantages of this are obvious – a safe entrance area for this important visitor attraction (whose visitor numbers are going to continue to increase with the new facility opening at the High Mill), a better meeting point in the event of evacuation of the building due to a fire alarm – and there are other adjacent streets for through traffic so no adverse impact on traffic movements. 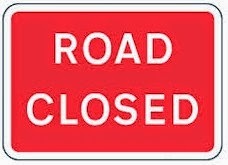 “Just to update you on West Henderson’s Wynd/Miln Street you will be aware that West Henderson’s Wynd, north side of Verdant Works entrance for approximately 25m and a section of Miln Street is currently closed for building operations. At the previous meeting with Verdant Works management this closure was discussed and it was agreed that this temporary closure would be a good trial for any permanent stopping up section or one way proposals. As previously advised as part of the development works at Verdant Works they were considering alternative entrance arrangements including people with disabilities and would submit these proposals to Dundee City Council for permission. Dundee City Council proposes to make an Order under Section 14(1) of the Road Traffic Regulation Act 1984 for the purpose of facilitating building operations at Verdant Works. The Order is expected to be in force for 10 weeks from 23 February 2015. Its maximum duration in terms of the Act is eighteen months. 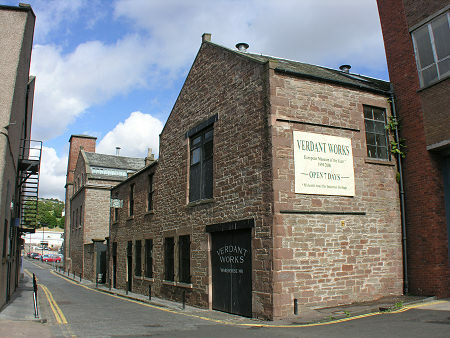 The effect of the Order is to prohibit temporarily all vehicular traffic in (1) West Hendersons Wynd from the north side of the entrance to Verdant Works extending for a distance of 26 metres or thereby northwards to the north side of its junction with Miln Street and (2) Miln Street from its junction with West Hendersons Wynd for a distance of 12 metres or thereby in an easterly direction. An alternative route will be available via Guthrie Street, Blinshall Street, Douglas Street and reverse. If you have any queries please contact 433168.